I am so excited to share the new skincare kits by Neal’s Yard Remedies. As a NYR Organic consultant, I love to share the best we have to offer. And these little kits are the best way to try a handful of products. Why? Read on for ten reasons to try an NYR Organic Skincare Kit. But first, what exactly are they? What are NYR Organic Skincare Kits? Our skincare kits are sets of products, designed for a certain purpose. They come in five varieties and contain the following products. Rehydrating Rose Skincare Kit is for normal skin. Purifying Palmarosa Skincare Kit is for oily or combination skin. Nourishing Orange Flower Skincare Kit is for dry skin. Beauty Sleep Concentrate This was one of my first favorites and I wrote about it here. NOTE: This skincare kit is $40, while all the rest are $32.50. Try something new. Who doesn’t like to be able to sample new skincare items? No matter what type of skin you have, or how many products from Neal’s Yard Remedies you have already tried, you can find something new that will work for your skin. Organic Ingredients. Each of these products is made with the finest of ingredients. If it is possible to be certified organic, it is. And we don’t just say they are natural or organic. The ingredients are certified organic by the Soil Association. The price is right. These are priced at $32.50 (except for the Award Winning kit which is $40). Very manageable for four products plus a bag. Neal’s Yard Remedies reputation and awards. The fabulousness waiting for you is just amazing. First, NYR’s reputation. Started in 1981, Neal’s Yard Remedies has been a pioneer in organic products and ingredients in England, Europe, and now the United States since 2009. Next, the awards. The products in these little bags are certainly award winners (and the accolades are not limited to the kit called Award Winners). 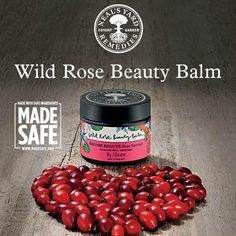 These products have won The Veggie Awards, Beauty Shortlist Awards, Natural Health Beauty Awards, Ultimate Natural Beauty Bible Awards, and of course, the Best UK Natural Organic Skincare Brand. Cute canvas bag. This is the big difference between our old skincare kits and these new ones. I love the small bags able to hold the little bottles and keep things organized. Plus it has the beautiful Neal’s Yard Remedies label on it. Travel size. Even if you do already have some of the products, these skincare kits are worth purchasing to have travel size bottles. Sometimes I don’t want to bring a full size skincare collection in my overnight bag for a weekend away. Having a skincare set means my bag will be lighter and I will still have everything I need. They make great gifts. How about sharing the organic love with friends and family? If you already love the Neal’s Yard Remedies products, giving a skincare kit is a great way to spread the love. Two week (or more) supply. These products are made with pure organic essential oils and they are very powerful. You need only a small amount to wash, moisturize, or pamper your face. The four products in the skincare kit should last 10-14 days, or more. This is a nice amount of time to try out new products and really get a good idea to see how they work for your skin. What you will not find… All of Neal’s Yard Remedies products come with the guarantee that you will not find the following questionable or downright nasty ingredients. No Parabens, No Synthetic Fragrances. No GMO Ingredients. No animal testing. No Silicones. No Phthalates. No Nano. No Mineral Oils. No EDTA. No Propylene Glycol. No Carbomer. No DEA. No Acrylates. No BHT. So what is holding you back? Check out which skincare kit is best for you and try it for for yourself. As always, let me know if you have any questions. Comment below or join in my VIP group and learn about the latest deals, news, and info.